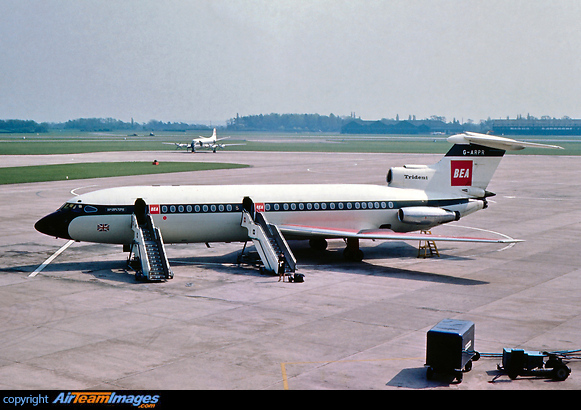 The Hawker Siddeley Trident was a British built three-engined airliner which was designed to a British European Airways (BEA) specification. 3 x Rolls Royce Spey (11000 - 14500 lbf) turbofan engines. The Rolls Royce RB162-86 boost engine, unique to the Trident 3B, is mounted in a pod in the tail above the central engine.